The Swedish Institute Study Scholarships target highly-qualified students from the countries listed below. The scholarships will be awarded for studies in Sweden, starting in August 2013 and covers both living costs and tuition fees. The next scholarship application round will be in conjunction with the autumn 2013 application round at University Admissions. The online application form for the academic year 2013/2014 will be open between February 1-11, 2013. No scholarships are offered for the spring 2013 application round. The list of study programs eligible for a scholarship will be published on December 1, 2012. Citizens from Belarus, Georgia, Moldova, Russia and Ukraine can only apply within the Visby Program. Citizens from Turkey can only apply within the Swedish-Turkish Scholarship Program. Scholarships are intended for studies in Sweden starting in the fall semester 2013 (August) and focus mainly on master’s level. A few scholarships will be awarded for studies at bachelor’s level. The scholarships are intended for students from the above-mentioned target groups for full time studies in Sweden. There is no age limit for scholarship holders. Have a permanent residence or work permit in Sweden. Have previously been awarded a Swedish Institute scholarship for studies at Master’s level or research at a Swedish university. However students who have attended a Swedish Institute summer course in the Swedish language may apply. Prior to applying for a scholarship, you must apply for a study program at the Swedish official online application service University Admissions, www.universityadmissions.se Deadline for applications is January 15, 2013. You can apply for a maximum of four study programs. Submit the payment of your application fee to University Admissions before February 1, 2013. The scholarship application period for the academic year 2013/2014 will be February 1-11, 2013. Please note that your application fee to University Admissions must be paid before you submit your scholarship application to the Swedish Institute. The eligible study programs for SI scholarships have been selected by the Swedish universities. The list of eligible study programs will be published on December 1, 2012. Please observe that your personal application number retrieved in the confirmation from your study program registration has to be used when applying for a scholarship. A list of successful candidates will be published on www.studyinsweden.se before deadline to accept your place at the study program at www.universityadmissions.se. More information about the application procedure will be available on December 1, 2012. The scholarship is only awarded for programs starting in the fall semester 2013 (August) and is granted for of one academic year, i.e. for two semesters at a time. It will be extended for programs longer than two semesters provided that the study results are satisfactory. Scholarship holders will receive a travel grant in connection with the scholarship. The travel grant is a one-time payment of SEK 15,000. 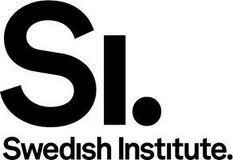 Demikianlah informasi mengenai The Swedish Institute Study Scholarships, Sweden semoga berguna bagi anda.